"Richard Greene with Alice Faye on Good News 1940"
In the 1930's MGM Studios found considerable success with their "perfect leading man", Robert Taylor. Darryl F. Zanuck at 20th Century Fox thought his studio needed a similar catch, and in 1938 signed twenty year old Englishman Richard Greene. Greene descended from four generations of actors, and his good looks made him a natural for the movies. He appeared in John Ford's Four Men And A Prayer, and followed that appearance by playing Henry Baskerville in The Hound of the Baskervilles (the first film to pair Basil Rathbone and Nigel Bruce as Holmes and Watson). Greene's camera friendly good looks brought in bags of fan-mail to the studio, even rivaling Fox heartthrob Tyrone Power. 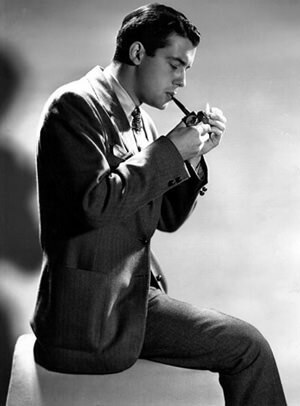 In 1940, Greene played steamship pioneer Robert Fulton in Little Old New York, which was celebrated on Good News of 1940, with a short adaptation of the story featuring Greene along with costar Alice Faye (the film is one of Faye's few non-musical efforts). 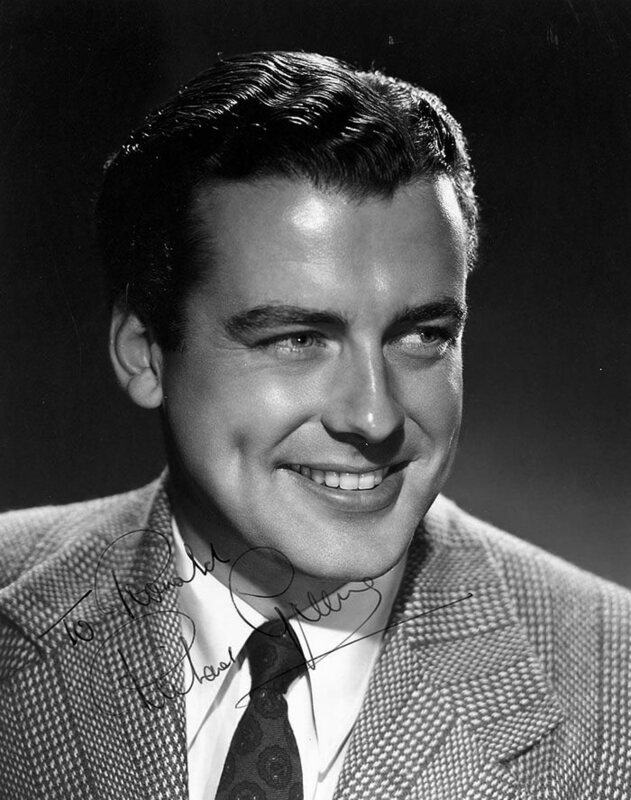 WWII interrupted Richard Greene's rise to stardom. He cut short his Fox contract and enlisted with the 27th Lancers. Greene served with distinction in the cavalry, eventually commissioned as a captain. The British Army furloughed him from service on a few occasions in order for him to work on propaganda films. 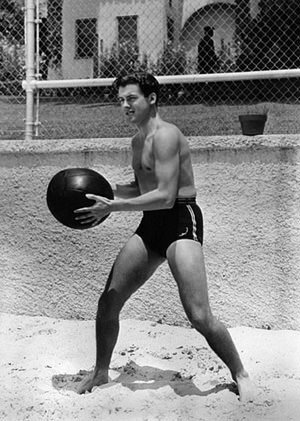 In 1946, he returned to Hollywood with his wartime bride, actress Patricia Medina. Greene hoped to resume his career as a Heartthrob. Birdseye Open House with Dinah Shore played on this for comic effect. He took what film work he could find, often swashbuckling roles in costume dramas. He also made guest appearances on radio with roles on Cavalcade of America with Basil Rathbone.